Shalom. Our teaching this morning will be from Exodus 8.1-15. EXODUS 8.4 the frogs came upon the Egyptians only but not upon the children of Israel. “Upon your people, the Egyptians and upon all your servants”, Pharaoh’s servants. EXODUS 8.7 The magicians again made things worse for the Egyptians as they did when they turned the waters into blood, but were not able to turn the blood back to water. EXODUS 8.8 entreat The LORD – ask The LORD. EXODUS 8.9 Glory over Me. Name the time. And Pharaoh is waking up. It’s interesting to consider, GOD through His servants Moses and Aaron, commands Pharaoh to let His people, the children of Israel go that they may serve The LORD their GOD. But yet again, Pharaoh refused GOD’s command because He hardened Pharaoh’s heart making him stubborn and prideful. And it is the same today. Most people reject GOD’s commands. And astonishingly, they, in most cases, are taught to reject GOD’s commands. The first time Moses and Aaron went to Pharaoh and said, thus saith The LORD GOD of Israel, let My people go that they may hold a feast to Me in the wilderness, Pharaoh answered, Who is The LORD that I should obey His Voice to let Isarel go? I know not The LORD, neither will I let Israel go. Exodus 5.1-2. And then Pharaoh caused more burdens to be laid upon the children of Israel. And again, Moses and Aaron went to Pharaoh, and did as The LORD commanded them. Aaron tossed down his rod before Pharaoh, and before his servants, and it became a serpent. And Pharaoh called his wise men and magicians, and they did the same thing with their magic. They each tossed down their rod, and they became serpents. But Aaron’s rod swallowed up their rods. There is no power that can stand against The LORD. And all miracles are from The LORD GOD. And GOD hardened Pharaoh’s heart that Pharaoh would not listen to Moses and Aaron, and he would not let the children of Israel go. Is disobedience to GOD a work of GOD hardening the hearts of the disobedient? Yes, I believe it is. And again The LORD sent Moses and Aaron to Pharaoh telling them to stand by the river’s bank before Pharaoh, and say to him, thus saith The LORD, let My people go that they may serve Me in the wilderness. But still you will not obey The LORD GOD of Israel. And Moses struck the waters with his rod with which GOD had him do miracles and signs, and the waters turned to blood. But still, Pharaoh continued to disobey GOD that he would not let the children of Israel go. There’s a number of things going on here. All foretold or predicted by GOD long before they happened. There is none like unto The LORD our GOD, as Moses said in Exodus 8.10. This event in Egypt took place some 3,380 years ago, a long time past in history. But GOD says in His Word, The Word of our GOD shall stand forever. For I AM The LORD. I change not. Isaiah 40.8, Malachi 3.6. Perhaps that’s why Peter writes, that one day is with The LORD as a thousand years, and a thousand years as one day. 2 Peter 3.8. Because The Word of GOD stands forever. GOD never changes. Thus time does not interfere with GOD’s Word. It stands forever, and never changes. The GOD of Creation promised or covenanted with Abraham some 4,103 years ago that He would make from Abraham, and from the Jewish people, a great nation. That nation is Israel. GOD also covenanted with Abraham that He would bless him and his house, the house of Israel. And GOD would make his name great, and make the name of the house of Israel great. And Abraham will be a blessing, and your house, the house of Israel shall be a blessing. And GOD said to Abraham, I will bless them that bless you and curse him who curses you. Meaning GOD will bless them who bless Abraham and his house, the house of Israel, and curse him who curses Abraham and his house, the house of Israel. And GOD continued His covenant with Abraham and the house of Israel saying, and in you and your house, the house of Israel, shall all the families of the earth be blessed. All the families of the earth are blessed by The Word of GOD, and His Law, known as The Law of Moses that GOD gave the world, and made known to the world by the house of Israel, the Jewish people through The Bible from Genesis through Revelation. And certainly the world is blessed by the Jewish Messiah Who comes from Abraham and his house, the house of Israel, the Jewish people. GOD’s Word stand forever. And GOD never changes. The events that took place in Egypt with the house of Israel were all foretold or predicted by GOD long before they happened because that was part of GOD’s covenant with Abraham. That is why it is so important to believe all that the prophets have spoken, as Yeshua said in Luke 24.25. Yes, the end will come, and The LORD will return, and all His Saints, His Holy ones with Him. And He will establish His Messianic Kingdom in Israel for 1,000 years. Israel will be as the Garden of Eden. We will come to Zion crowned with songs and everlasting joy upon our heads. We will obtain joy and gladness, while sorrow and sighing will flee away. Believe it. HEBREWS 4.3 We enter into rest with GOD Almighty Yeshua The Messiah. That is eternal life with Him forever, now, and in The Messianic Kingdom, and throughout eternity. Rest and peace, and everlasting joy. Sorrow and sighing will flee away. The works, that is GOD’s works were finished from the foundation of the world. His works were finished even before the creation of the world. This is the part that fascinates me. GOD’s works, His entire plan for history, for you and me, and for all the world is complete. In GOD’s mind, they have happened, and will happen. His plan was completed before the creation of the world. It was completed in eternity before the Creation. And GOD’s plan is complete and finished for all eternity, and forever throughout eternity. That is the incredible power of GOD. There is none like unto The LORD our GOD. Remember, The Word of GOD stands forever. It never changes, and GOD never changes. MATTHEW 25.34 Those who bless Yeshua’s brethren, the Jewish people, as in GOD’s Words to Abraham, I will bless them that bless you, inherit the Kingdom prepared for you before the Creation of the world. The Kingdom is GOD, The Millennium in Israel, and Heaven. Eternal life in His Kingdom forever. 1 PETER 1.1-2, 20 Here the elect are not Jewish, by the foreknowledge of GOD The Father, Who Himself is Yeshua. There is only 1 GOD. FOREKNOWLEDGE – PROG – NO – SIS – to know beforehand, before time, before the Creation. The elect of GOD were chosen in eternity, before the foundation of the world. VERSES 18-20 FOREORDAINED – before the Creation. Yeshua’s mission of atonement and Salvation was also foreordained by GOD before the Creation. 1 PETER 2.8 The disobedient to GOD are also appointed by The LORD. They wer created for disobedience. se Believers in Messiah who obey GOD’s Word and Law of Moses, making them holy, and without blame before Him in love. Predestinated means determined beforehand. GOD chose us beforehand, in eternity, before the Creation, before time, who are His. 2 TIMOTHY 1.7-9 The holy calling is for GOD’s purpose that He made before the world began. GENESIS 3.15 Anti-Semitism is preordained by GOD before the Creation, and He chose satan to carry it out. But Yeshua will destroy satan and all his followers. That is also preordained by GOD. ISAIAH 46.10 That’s why GOD can declare the end from the beginning, because He appointed the end and the beginning and everything from the beginning to the end. All preordained by GOD in eternity, before the Creation. OF OLD – KEHDEHM – from eternity, before the Creation. 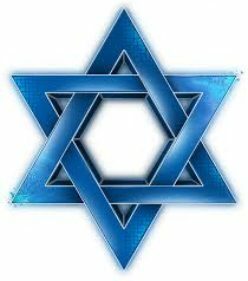 GOD created, and He owns the house of Israel. That decision of GOD took place before the Creation, in eternity. PROVERBS 8.22-23 GOD’s wisdom was established way back in eternity. Way back, because GOD is wisdom. ISAIAH 45.17 The Salvation of many, many Jewish people was determined by GOD before the Creation, in eternity. ISAIAH 24.4-6 GOD declares the end from the beginning. He determined that He will destroy the earth at some future date known only to Him, because of mankind’s disobedience to Him. GOD decreed this decision in eternity, before time. PSALM 139.5-6 BESET – STOOR – fashioned, as in, GOD has fashioned us, made us, formed us, and shaped us. Everything we are, GOD has fashioned us. BEHIND – AHKHORE – beforehand – GOD has determined our future in eternity, before the Creation, even throughout eternity. BEFORE – KEHDEHM – from eternity, before the Creation. GOD has done it all before the Creation. Such knowledge is too wondrous for me. It is high, I cannot attain to it. As Hebrews 4.3 says, all the works of GOD were finished from the foundation of the world, from before the Creation, before time began. So in conclusion, in all GOD’s greatness and power, and love, all that GOD The Messiah Yeshua asks of us is to obey Him, and love Him, and kow there is only 1 GOD, and none else. Shalom. Our teaching this morning will be from Exodus 7.14-25. Last week our study was on miracles, and we learned that all miracles are from GOD. However, at times, The LORD gives His miraculous powers to perform miracles to others, even bad guys like satan and his followers. Even in the future, the miracles of the anti-Christ will be from the power of GOD. Thus all miracles are from GOD, all miracles are determined by GOD, and all miracles are for GOD’s purpose for a reason that He has chosen. And GOD knows and determines the results of those miracles before they happen. So now, The LORD GOD has begun ten plagues of miracles, signs, and wonders in Egypt by turning the waters in their rivers to blood. And after GOD’s wonders that He will do in the midst of Egypt, Pharaoh will let the children of Israel go from his land. And he will know that the GOD of Israel is The LORD. EXODUS 7.14 GOD had said to Abraham some 700 years earlier, and GOD is The Messiah Yeshua, the children of Israel, the descendants of Abraham will be strangers in a land that is not theirs, and they will serve them as slaves for 400 years. And that land was Egypt. And The LORD GOD said, He will bring them out to their own land. That time has arrived. So let’s look at the history of GOD’s promise to Abraham. And The LORD had promised Abraham to make his descendants the Jewish people a great nation. That promise was fulfilled over the 430 years the children of Israel lived in Egypt. The great nation is Israel: Genesis 12.2-3. The children of Israel, or Judaism have been a people for some 4,000 years, since the days of Abraham. Israel has been a nation for some 3,300 years from when Joshua brought the people into Canaan, and GOD renamed that land Israel. Now GOD had told Moses that He would harden Pharaoh’s heart, that he will not listen to you, nor will he let the children of Israel go out of his land, because, The LORD said, I will lay My Hand on Egypt and prosecute them with signs and wonders. And then I will bring forth My people, the children of Israel out of the land of Egypt with great judgments, and with great punishments. And the Egyptians will know that I AM The LORD. EXODUS 7.15 The rod Moses had was probably a wooden staff to lead the flock of his father-in-law Jethro, and no doubt he used it as a walking stick. Moses at the time was 80 years old. EXODUS 4.17 Signs in Hebrew is OHTOTE which are miracles of GOD that will come from Moses when he holds the rod in his hand. Now we all know that GOD performs miracles from nothing, as He did in creating the heavens and the earth, and all that is in them from nothing. And GOD used Moses to perform great miracles, that the Egyptians will know that GOD is The LORD. VERSE 8 GOD told Moses to speak to the rock before their eyes, and it will bring forth water for the congregation and their animals. VERSE 10 But in anger and impatience, Moses called the congregation rebels, a Hebrew word HA MOREEM meaning they are bitter, and rebellious, they provoke, and are disobedient. VERSE 11 Then Moses slammed the rock twice with his rod, and GOD brought forth water. But GOD had said, speak to the rock in the presence of the congregation, not hit it with your rod. VERSE 12 And GOD’s response to Moses and Aaron was this. GOD said, you didn’t believe Me to sanctify Me in the eyes of the children of Israel. That is, you did not bring respect to GOD Who is Holy and sacred. A major lesson for all of us. Not obeying GOD is not believing Him. EXODUS 7.15-18 The first time Moses and Aaron met with Pharaoh and told him, thus saith The LORD GOD of Israel, let My people go that they may hold a feast unto Me in the wilderness, Pharaoh’s answer was, who is The LORD, that I should obey His Voice to let Israel go? I know not The LORD, neither will I let Israel go. EXODUS 5.1-2.
Who is The LORD? The LORD in Hebrew is YEH HO VAH – the self-existent GOD. The 1 Whom all creation depends upon, the eternal, everlasting GOD Who has no beginning, or end. The supreme GOD Who is LORD of LORD, and KING OF KINGS, and His Name and title are Yeshua Ha Mashiakh, Yeshua The Messiah. That’s Who The LORD is, and He does, and continues to do mighty and awesome miracles, that the world will know that He is The LORD GOD. Gog is perhaps the ruler of Magog. The land of Magog is perhaps Russia and the European countries which long have been persecutors of Jews and Israel. One day in the future when The LORD returns and all the saints with Him, the world will know that The GOD of Israel is The LORD. And His Name is Yeshua, Yeshua The Messiah, Whose Name means Salvation, when He pours out His Holy Spirit upon the house of Israel. t the Egyptians will know that The GOD of Israel is The LORD. EXODUS 7.21-22 (Verse 22) And the Egyptian magicians did the same thing. They also turned the waters of Egypt into blood, but they could not turn the blood back to water, only making things worse for the Egyptians. But GOD’s people, the children of Israel were not affected by any of the plagues. Just as The LORD saved Noah and his family from the flood, and Lot and his family from the destruction of Sodom and Gomorrah, and The LORD continues to save His people from harm and destruction, GOD saved His people, the children of Israel from the plagues He poured upon Egypt. BACK TO EXODUS 7.23-25 Pharaoh wasn’t impressed that the waters in Egypt were turned to blood. He fails to see the power of GOD. His heart was hard. Thus no one in Egypt was able to drink water for at least 7 days, except the children of Israel (who were not affected by any of GOD’s plagues). That is the whole duty of mankind, Solomon writes in Ecclesiastes 12.13, Fear GOD, and keep His commandments. Pharaoh didn’t. We can, and we should. EXODUS 7.8-9 Pharaoh said, show me a miracle for you, that is, produce a miracle and prove you were sent by GOD, or you were sent by some god. Then say to Aaron, take your rod, and toss it before Pharaoh, and it will become a serpent. EXODUS 7.10 So Moses and Aaron went to Pharaoh and did what GOD had commanded, and Aaron tossed down his rod before Pharaoh and his servants, and the rod became a serpent. Now GOD had said He would multiply His signs and wonders in Egypt, and they will be numerous. This was the beginning. The word serpent in this passage, or in this miracle of GOD comes from the Hebrew word TAH NEEN, and Tah neen means that this serpent may have been a snake; it could have been a land monster, or a sea monster, or a sea serpent. Some think the serpent was a crocodile, which is a reptile. Snakes and crocodiles are reptiles. However we’ll stay with a snake. But a crocodile is not impossible for GOD. GOD creating a snake or a crocodile from a wooden rod is not impossible for GOD, because nothing is impossible for GOD. The serpent in Genesis 3 that tricked Adam and Eve to disobey GOD is a different word in Hebrew. The Hebrew word for the satan snake is NAH-KHASH. Just a little added information. EXODUS 7.11 So Pharaoh doesn’t seem too impressed, and he called the wise men, and the sorcerers, and the magicians, and they worked their magic with enchantments, with magic. WISE MEN – LAH KHAH KHAH MEEM – those were the wise and intelligent men. THE SORCERERS – KAHSH FEEM. These were the guys who practiced magic by using witchcraft. THE MAGICIANS – KHAR TU MEEM – and these guys were magicians. They also designed horoscopes. They drew magical lines and circles, diagrams of the heavens showing the relative position of the planets, and the signs of the zodiak. A zodiak is a diagram showing the path of the sun, moon, and principal planets through 12 constellations or signs. This to predict events in a person’s life, and to give predictions and advice for the future based on those diagrams. VERSES 9-10 DIVINATION is witchcraft, the use of magic and sorcery with evil spirits. OBSERVERS OF TIMES – practices magic. A WITCH is a sorcerer who practices magic. VERSE 11 A CHARMER is a medium, a consulter with demons. AND GOD SAID, The LORD your GOD has not appointed you (Israel) to do so. GOD calls magic and all those things associated with magic, an abomination, disgusting, and idolatry. EXODUS 7.12 They, the Egyptian magicians, tossed down their rods, and they also became serpents. But Aaron’s rod swallowed up their rods. Nothing can stand against the power of The LORD OUR GOD. Not Pharaoh, not anybody. So Aaron’s rod ate them, destroyed them, and swallowed them. More signs and wonders of The LORD GOD. EXODUS 7.13 And just as The LORD had said, Pharaoh would not listen to Moses and Aaron. He would not let the children of Israel go. Thus the miracles would continue, and eventually destroy Egypt. But I was thinking about this. How did the Egyptian magicians make their wooden rods become serpents? For GOD to create a serpent from a rod is easy. But for human beings, even though they are magicians, to create a serpent from wood or anything, is that possible? Some say the Egyptian magicians accomplished this feat through sleight of hand, quick and clever movements of the hands, a magic trick. Others think the Egyptian magicians turned their rods into snakes through demonic power. Others say the magicians used snakes that they charmed into a rigid position to appear as rods. Can you imagine if those serpents were indeed crocodiles? How do you charm a crocodile? Others believe the Egyptian magicians had power to create life, thus creating the snakes. They would have a better chance of charming a crocodile to dance the hora, no one is able to create life except GOD, NO ONE. GOD alone is the only Creator. All power and miracles are from Him. And He gives that power to perform miracles to whom He will. He determines whom He will give that power to; He determines the mircale or miracles for His purpose, that is for GOD’s purpose. GOD’s purpose. The Egyptians will know that I AM The LORD GOD. GOD’s signs and wonders will answer Pharaoh who said, Who is The LORD that I should obey His Voice, to let Israel go? I know not The LORD, neither will I let Israel go. Now Pharaoh is getting aquainted with The LORD GOD. And NO ONE can stand against The Lord God. GOD has a purpose for all miracles no matter who He gives power to perform them. The GOD of the Hebrews has sent Moses and Aaron and Pharaoh has no power before GOD. GOD gives His miraculous power to others at times, for HIS purpose, and HIS determination. GOD gave power to satan to test Job, and Yeshua, and at times to test us. To know if we will obey GOD or not. (Deuteronomy 8.2) The testings? Wars, lack of food and water, etc. Satan has limitations of GOD’s power, and he can only use it for GOD’s purpose. GOD used that power He gave satan to test Job. Will Job sin against GOD, or not? Job did not sin against The LORD. LUKE 4.1-7 VERSE 6 Satan said, all this power is delivered to me (from GOD). GOD even tested Yeshua using satan to see if Messiah would continue with His mission of salvation and keep the commandments of GOD. Of course, He did. Man does not live by bread alone, but by every Word of GOD. And the devil left Him, for a season. GOD gives satan and others power to perform mighty miracles for a reason, for GOD’s purpose and GOD determines the miracle or miracles. Satan will give the anti-Christ power, and that power comes only from GOD Almighty for GOD’s purpose. VERSE 2 That power is from GOD for His purpose. VERSE 3 The whole world wondered after the beast. The world will follow the anti-Christ with amazement and admiration. VERSE 5 Blasphemes; speaking evil against GOD. Again, the power given to the anti-Christ is from GOD, or will be from God, for GOD’s purpose, to bring this world age to an end. GOD will give His mighty power to satan and the anti-Christ for GOD’s purpose, for all the nations of the world to make war with Israel, for GOD to save His People, the Jewish People, so GOD can destroy all their enemies and bring this world age to an end as we know it, to bring on the return of our GOD and Messiah Yeshua, and to set up and establish the Messianic Kingdom in Israel for 1,000 years. GOD gives His mighty power to perform miracles to whom He will, for His purpose, for what He intends, and the results He knows and determines before they happen. VERSE 1 A sign or a wonder is a miracle that GOD gave this person to perform for a reason, and for GOD’s purpose. VERSE 3 The LORD your GOD proves you, meaning He is testing you to know whether you love The LORD your GOD with all your heart, and with all your soul, to fear Him and keep His commandments and obey Him. So GOD gives His power to perform miracles to others to test us. Will we follow after their strange doctrine that contradicts GOD, or will we continue to follow The LORD, and keep His commandments and His Law of Moses? In the end times, and I believe we are experiencing many end times events today, false prophets and false messiahs will perform miracles. And if it were possible, Yeshua said, they will deceive the very elect. Those miraculous powers are given to those false teachers by GOD for a sign of the end times, and to test those who claim to know The GOD of our fathers, Yeshua Ha Mashiakh. MATTHEW 24.24 DECEIVE – PLAN-AH-O – to cause to roam from safety and truth. Those deceivers whom GOD gives miraculous powers to perform, will cause many to follow the deceiver, the false prophet or false teacher to stray from the safety of GOD, and from GOD’s truth which is His Word. It will also be a test for us to know if we will obey the commandments of GOD. GOD always has a reason and purpose to give others miraculous powers to perform miracles. So how can you tell if these people who perform miracles are deceivers, or good guys? You can tell them by their fruits. Do they lead a life of obedience to The LORD GOD? Do they teach obedience to GOD, to keep His commandments and His Law of Moses? If they do, and live their lives according to The Word of GOD, and teach according to GOD’s Law of Moses, they are of GOD. But, if they walk in disobedience to GOD’s commandments and laws, and skip and avoid the Law of Moses in their teachings, they are deceivers. Beware. MATTHEW 7.15-20 The fruit of the Believer in Messiah obeys THE LORD HIS GOD, His every Word, His commandments, and His Law of Moses. And speaks and teaches the same as did the prophets, and the apostles, and Yeshua. That is good fruit. But evil fruit is disobedience to GOD. Not walking after The LORD GOD, not fearing Him and not keeping His Word, His commandments, and His Law of Moses. That is evil fruit. Thus Yeshua says, by their fruits you shall know them. And for anyone who does not do the will of the Father which is in Heaven, GOD counts that as lawlessness, which is iniquity. MATTHEW 7.21-23 Miracles don’t get you into heaven. Obedience to GOD does. So consider the miracles of Messiah Yeshua. Yeshua has miraculous power because He is The One GOD of Creation. He turned water into wine, He calmed a storm simply by saying, Peace, Be Still. He fed 5,000 with 5 loaves of bread, and 2 fishes. In a moment, Yeshua created a whole lot of food. He walked on water. He put tax money in a fish’s mouth to pay a tax that may have been for the Temple. See Exodus 38.26. He healed those with leprosy, He healed those that were paralyzed. All miracles that only GOD can do, because Yeshua is GOD. He raised the dead, gave sight to the blind, hearing to the deaf, speech to those who could not speak. He healed a woman that had a flow of blood for 12 years. He healed a woman that was crippled for 18 years, and so much more. John wrote in John 21.25, And there are also many other things Yeshua did, and if they were all recorded, I don’t think the world itself could contain the books that would have to be written. But all Yeshua’s miracles were also done for a purpose. To prove He is the promised Jewish Messiah, and the One we should design our life after. So all miracles are from GOD. All power and creation come from GOD Almighty, and NO ONE else. But at times, GOD gives His power to perform miracles to others, such as satan. But those miracles are always for GOD’s purpose, and for His reason, and it is GOD who determines the miracle or miracles. But remember, miracles by people are not evidence of the Truth. Truth is evidence of The Truth. Shalom. This morning our teaching will be from Exodus 6.28-30 and 7.1-7. EXODUS 6.28-29 Speak to Pharaoh, king of Egypt ALL that I say to you. ALL in Hebrew is KAHL; Meaning, all, every, as in every word GOD speaks. This is GOD’s principal instruction to everyone who speaks The Word of GOD, and especially those who teach and preach The Word of GOD. Speak all that I say to you, The LORD commands us. Teach and preach every Word that I command you. The LORD commands us throughout The Scriptures, you shall not add to His Word, nor take away from His Word. Why? That you should obey The Commands of The LORD your GOD which He commands you. Thus, a crucial commandment of The LORD GOD. Speak every Word He says. Speak every Word He commands. How else will we know His commandments to obey? EXODUS 6.30 Again Moses pleads with The LORD, I don’t speak well, my lips are sealed. How then will Pharaoh listen to me and do what I say? EXODUS 7.1 The LORD said to Moses, see, I have made you a god to Pharaoh, and Aaron your brother will be your prophet. Meaning, the words that GOD spoke to Moses, and I believe that GOD spoke directly into Moses’ mind, the words that GOD spoke to Moses, Moses spoke to his brother Aaron. And Aaron spoke GOD’s words to Pharaoh. GOD made Moses a god to Pharaoh, and Aaron became Moses’ prophet, speaking GOD’s words to Pharaoh. EXODUS 7.2 And again GOD’s command to Moses. Speak ALL that I command you, and Aaron your brother will speak to Pharaoh, that he send the children of Israel out of his land. EXODUS 7.3 And GOD said to Moses, I will harden Pharaoh’s heart, that is, I will make him hard and stubborn. And multiply My signs and wonders in the land of Egypt. Egypt knew well that those signs and wonders of GOD happened. EXODUS 7.4 But The LORD said, Pharaoh will not hearken to you, he will not listen to you, nor will he do what you say. Not because Moses didn’t speak well, but for GOD to lay His Hand on Egypt and bring the children of Israel out of Egypt with great judgments, that is with great punishments. Thus GOD hardened Pharaoh’s heart. The word lay in Hebrew, as in, I will lay My Hand upon Egypt, comes from the Hebrew word NAHTAHN, which means to PROSECUTE. GOD will prosecute Egypt, and bring legal proceedings against the land of Egypt with great punishments. EXODUS 7.5 And the Egyptians will know that I am The LORD. KNOW – YAH DAH – meaning the Egyptians will know by observation. They will know by watching, they will know by the punishments inflicted upon them. And the Egyptians will know that GOD is The LORD. Remember when Pharaoh said, who is The LORD that I should obey His Voice to let Israel go? I know not The LORD, neither will I let Israel go. (Exodus 5.2) GOD introduced Himself to Pharaoh. EXODUS 7.6-7 And Moses and Aaron did as The LORD commanded them. That is a great quality for people who claim to know GOD and Messiah Yeshua, doing all that The LORD commands. And Moses was 80 years old, and Aaron 83 years old. GOD tells us, and we know from experience, that the things He predicts will come to pass, exactly as He promised. ISAIAH 42.9 Everything I predicted, came true. And now I will prophecy again. I will tell you the future before it happens. GOD said, I will harden Pharaoh’s heart. He will not listen to Moses. But GOD also said, I will lay My Hand upon Egypt with great punishments and bring My people, the children of Israel out of Egypt. And GOD did exactly as He said. Did you know that the word word in Hebrew, DAH VAHR, also means promise. When you or me, or GOD speak a word, it is our promise. Think on that. GOD promised Abraham some 500 years earlier that He would make of Abraham a great nation. Well, GOD didn’t say to Abraham, Abraham, I promise to make of you a great nation. No, GOD said, to Abraham, and I will make of you a great nation. Genesis 12.1-2. GOD’s Word is His promise. And exactly as GOD said, or promised, GOD made the Jewish people a great nation in Egypt during their 430 years in that land. And GOD called that great nation Israel, Genesis 15.7-21. And now it was time to bring the people out of Egypt to the promised land just as GOD had promised Abraham, and Moses, and Aaron, and the children of Israel, and Pharaoh, king of Egypt. GOD tells us things before they happen. GOD also tells us things that will happen in our life before they happen. At times, we are told, and we know too well from experience, we will have trouble and tribulation in our lives. But GOD also promises to deliver us from ALL those tribulations, and bless us for enduring and obeying Him. The LORD tells us we will be tested from time to time by hardships. Why? To learn what is in our hearts, whether we will keep His commandments or not. Will we obey GOD? Will we keep His Law, or not? But GOD also promises to deliver us. COMMANDMENTS – MEETS VOTE – collectively, GOD’s Law of Moses. HUMBLE you – AHNAH – afflict you, humble you, chasten you, or inflict suffering or punishment upon you. PROVE you – NAH SAH – test you, that is, GOD will test the genuineness of your faith and belief in The LORD, and your loyalty to GOD. But after the test and fearing GOD, and keeping His commandments, we will come forth as gold. GOD will find no transgression in us, and we will be a little more refined, and pure, for GOD’s use. We will come forth as gold. A wealty place in Hebrew is REH VAH YAH meaning, a place of satisfaction, a place of abundance, a place of prosperity and plenty. JAMES 1.12 The crown of life is eternal life. During testings and trials, obedience to GOD brings blessings and great benefits. Listen to how GOD tested Abraham, and the blessings that followed. VERSE 1 – TEMPT – NAH SAH – GOD TESTED Abraham’s faith and belief in The LORD. How genuine was it? How loyal was he to GOD? VERSE 12 – Fearing GOD results in obeying GOD. VERSES 15-18 Here are GOD’s blessings to Abraham and to the Jewish people, and to all peoples for Abraham’s obedience to GOD. VERSE 17 Your descendants shall possess the gate or cities of his enemies. During the 1,000 year Millennium, the Messianic Kingdom, Israel will rule with the authority of the King of Kings, Yeshua Ha Mashiakh, Who will be King over all the earth (Zechariah 14.9). Israel will rule over all those cities and countries that were enemies to the Jewish people, and all those cities and countries that hated Israel. It was said by Benzion Netanyahu, the father of Israel’s current Prime Minister, that Judaism is a history of holocausts. Israel will possess the gate of his enemies. rd of GOD, His Law, His commandments, His promises, and His covenants. And we have given the world the Jewish Messiah, Yeshua Ha Mashiakh. And in your seed shall all the nations of the earth be blessed, because you have obeyed My Voice. Great blessings come from GOD when we obey Him. By not adding to His Word, nor taking away from it. Another promise of GOD, if we call upon The LORD in the day of trouble, GOD will deliver us. STRENGTHEN – SAH AHD – GOD will strengthen you, support you, comfort you, and refresh you. And He will renew your vigor and energy. Make all his bed in his sickness – Perhaps that means the person will recover. GOD watches over us when we are sick. Here’s a promise by GOD before it happens. EXODUS 20.6 (Part of the 10 commandments). SHOWING MERCY – Mercy in Hebrew is KHEH SEHD meaning, GOD will show us His mercy, and His lovingkindness for loving Him and keeping His commandments, His Law of Moses. KEEP – SHAH MAHR – Keep My commandments means to guard and protect GOD’s commandments, His Law of Moses, by not letting anyone take them from us, mostly by lies from those who add to GOD’s Words, and subtract from GOD’s Words. Yeshua said the same thing in JOHN 14.15-17 because He is GOD. Vain means without purpose, meaning, your labor in The LORD will succeed. Your love for Him, and your labor for Him, and your obedience to Him has a purpose. And it will succeed and prosper. This is not a promise, but a statement. GOD’s thoughts of you are precious, beyond number. You are fearfully and wonderfully made, meaning GOD has great respect for you, He honors you, and admires you. You are distinguished, and marvellous, and magnificent, and wonderfully made by GOD. VERSE 13 You have possessed my reins. POSSESSED – KAH NAH – you have Created, and also Own. MY REINS – KEEL YAH – my mind. You have Created my mind, and you Own it. You have COVERED me. SAH KHAKH – You have protected and defended me in my mother’s womb. VERSE 14 FEARFULLY – YAH RAY – with great respect, honor, high esteem, admiration. Marvellous are your works in creating us. VERSE 15 MY SUBSTANCE – OH TSEHM- my body, my power and strength. FASHIONED – YAH TSAHR – GOD squeezed us into shape. He made us the way we are, with respect, and honor and dignity. All determined by GOD. Thus GOD leads us no matter where we are, and holds us, and protects us always. GOD created our mind, and He owns it. He protected us in our mother’s womb. I will praise The LORD for I am fearfully and wonderfully made, with great respect, honor, and admiration. He knew our body and power when there was none, and we were written in GOD’s Book of Life. How precious are His thoughts for us. They are beyond number, even more than the sand. That is how much GOD loves you, adores you, admires you, and greatly respects you. You are precious in the sight of GOD. You are marvellous in the sight of Yeshua. How good is that?